I absolutely love anything with a Peter Pan / Wednesday Addams collar. I think the collar’s are so stylish and super cute. 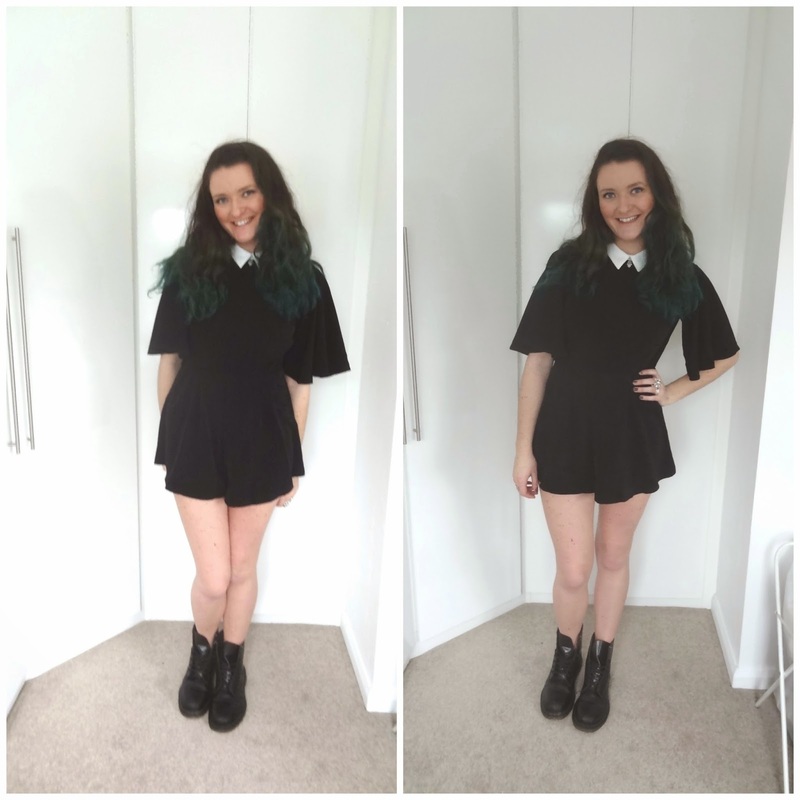 So when I saw this playsuit on NastyGal I just had to have it! I adore the cut out back detail to the playsuit too. It’s really comfy to wear and is made out of lightweight material so it’s great for warmer months but you can also pair it with some thick tights to keep the heat in! I wanted to pair the playsuit with some silver jewellery to keep in touch with the black and white theme and I think my rings and Hamsa necklace really suited the colour scheme. What do you think of the Melinda Playsuit? Don’t forget to enter my MASSIVE giveaway by clicking down below! I am obsessed with your accessories! Its brings everything together perfectly. 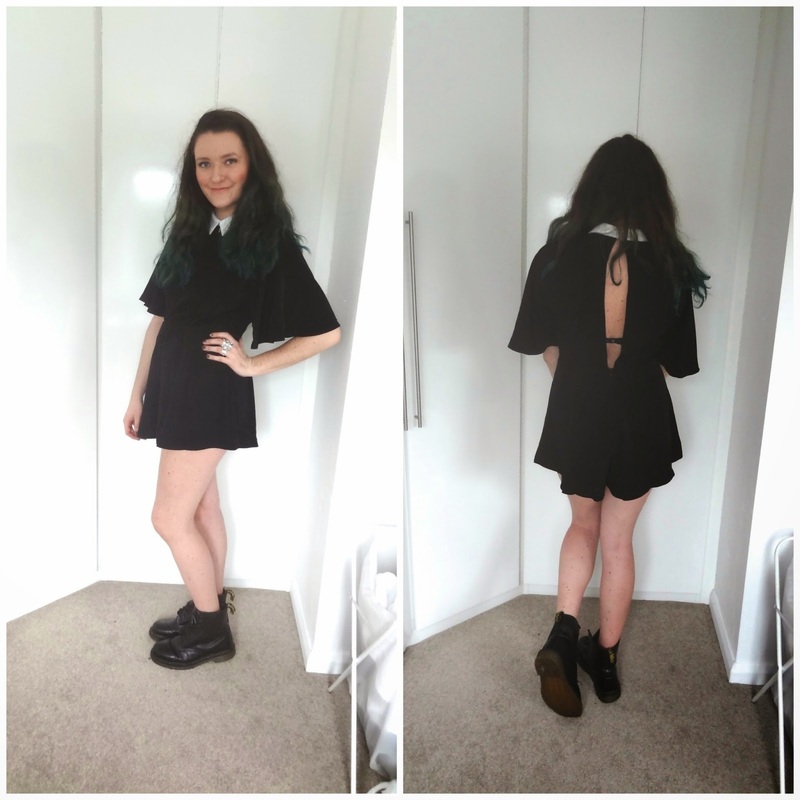 Oh my gosh, the back of this playsuit!! I love it. I also like the wide leg (for ma chunky thighs!). However i'm not in love with the arms. I 'm going to check the situation on Nastygal now. Love the necklace you paired it with also. Thank you for sending me your link. That playsuit looks gorgeous on you! i actually meant to buy that a while ago and completely forgot, obsessed!